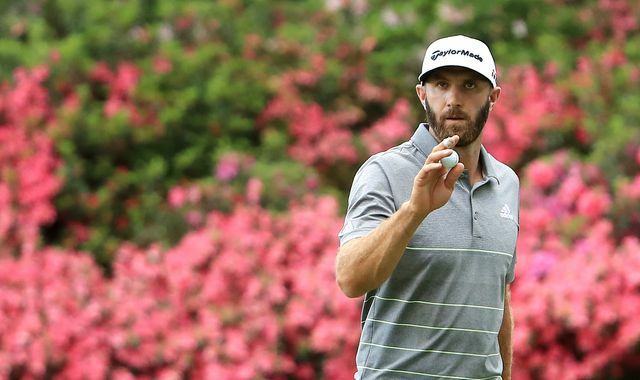 Butch Harmon reflects on an encouraging start to the Masters for Dustin Johnson and looks back on an entertaining opening round at Augusta National. The interesting thing was that in the morning, when there wasn’t any breeze and we expected some low scores, there really wasn’t. Then even this afternoon, it didn’t really get rolling until the back nine. Koepka and DeChambeau, our two leaders, were both one under for the front nine but then played beautifully over the closing holes. Phil Mickelson, almost 49, is doing great and Tiger Woods was there for a while near the top too but stumbled a little. Dustin Johnson, who we all consider one of the favourites, did really well during that opening round. He was asked post-round whether he was coming in with his best form and it made me think of a conversation I had with him earlier this year. During the Genesis Open this year, he wasn’t happy with the way he was swinging and text me to ask whether I had some videos of him from when he was swinging well. I showed him two swings of him playing just before the 2017 Masters, when he couldn’t play because of his accident. I sent him a driver swing and an iron swing and we looked at how the posture and a whole bunch of different things were different. He then started working on those areas with this week in mind. When I saw him earlier this week he had to change his posture movement a little and move a little bit back from the ball, which freed him up. DJ wants to see every shot go to the right and only wants to see the ball go to the left if he’s trying to hit a draw, so the main thing he worked on this week was to make the ball go to the right and hit the fades. He drove the ball absolutely beautifully today. He turned up for two days in a row with three putters but thankfully only showed up with one today and had a great round!